In this first installment in our series about propeller overhauls, we talk about what you need to know before a propeller overhaul. What’s involved in an overhaul? When should you do it? What should you expect? We’ve got the answers. Overhauls are an important and necessary part of maintaining the safety and performance of your aircraft. The truth is that aircraft propellers are among the most highly stressed components on your aircraft. Hartzell propellers are designed for high reliability and a long service life. However, like any mechanical device, they require periodic maintenance and inspection. Even propellers with low operating hours or those stored within a heated hangar are susceptible to degradation over time due to corrosion, internal seal aging, and breakdown of internal lubricants. Very often, this degradation can only be detected during a complete propeller disassembly and overhaul at a certified propeller repair facility such as a Hartzell Recommended Service Facility. 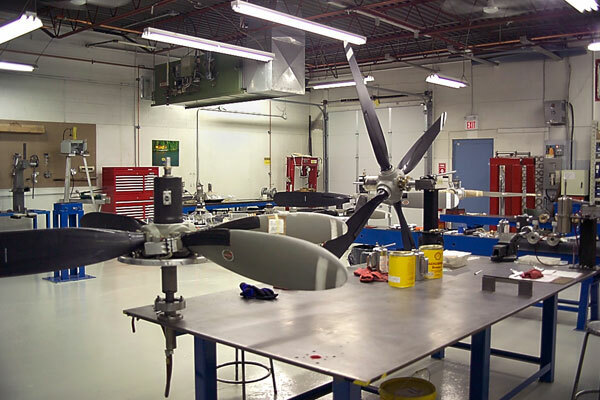 During an overhaul, your propeller will be disassembled, inspected, and refurbished to manufacturer specifications. Your Hartzell Service Letter HC-SL-61-61Y is designed to answer questions dealing with propeller and governor overhauls, TBO extensions, calendar limits and long-term storage. To determine when your propeller is due for overhaul you will need to know your propeller model number (example HC-C2YK-1BF). Within the service letter, locate your propeller model and all pertinent notes. This will give you the recommended flight hours within which your propeller can operate efficiently and safely between overhauls. Following Hartzell published overhaul limits will ensure that any problems developing within the propeller are found early, usually while still easily repairable. Neglecting these limits can result in minor problems developing into much larger issues, leading to reduced reliability, propeller malfunction, expensive component replacement, and potentially unsafe operating conditions. When you send out your propeller for overhaul, it will first be visually inspected. Ground strikes or severe corrosion may disqualify your propeller from general overhaul, so see your Hartzell Service Letter for details. Next, the propeller will be disassembled and each part will be cleaned. Each propeller will be serviced in accordance to the specifications prescribed in the overhaul manual for that propeller. All components will be measured and inspected. The blade will then be refurbished to its proper specifications. How this is done will depend on whether you are overhauling a metal or composite blade. The propellers are then reassembled, with any necessary parts replaced, and balanced. Is it time for your propeller overhaul? Find a Hartzell Recommended Service Facility near you.